made with Kalamata Olive Paste, Lemon zest, Garlic, Sundried Tomatoes and oil. 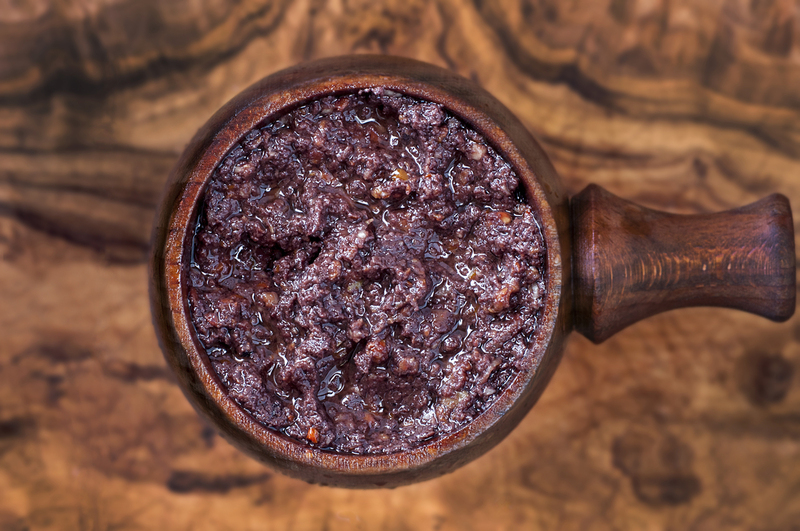 We crush our Kalamata olives to make this rich olive paste. The addition of the sun dried tomatoes makes it match with most cheeses and also a good topping to spread on white fish or chicken. Kalamata Olive Paste (60%), Rapeseed Oil, Sun-Dried Tomatoes (15%), Lemon Juice (3%), Garlic (1%), Lemon Zest.